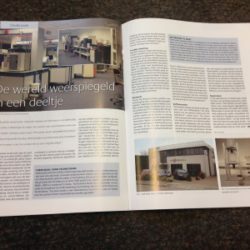 In its February 2014 edition, number 1, the Dutch magazine “BULK Solids Processing Handling” features an extensive description of Delft Solids Solutions’ new facilities and ongoing case studies. The image below links you to the on-line edition of the respective article (in Dutch). Enjoy reading!